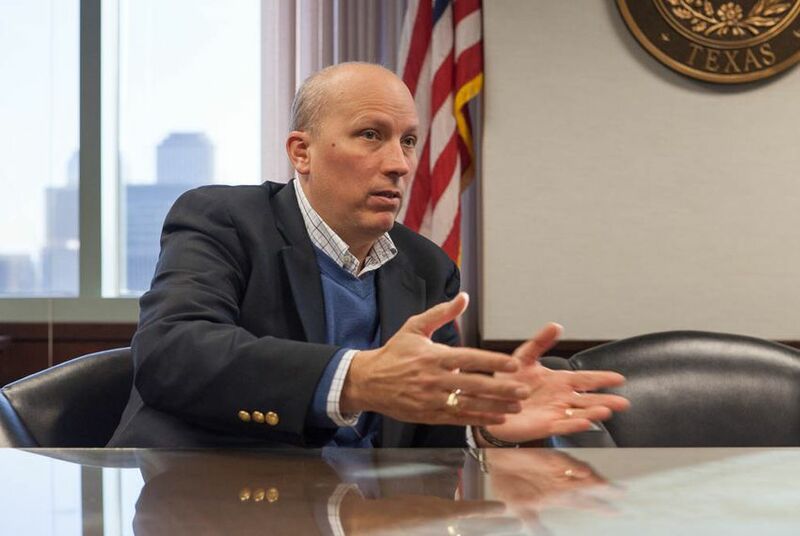 Former First Assistant Attorney General Chip Roy on Friday defended receiving thousands of dollars in salary and benefits after leaving the attorney general's office to join a pro-Ted Cruz super PAC. In a written statement to the Tribune, Roy responded to a report Thursday in The Dallas Morning News that said he was among at least two former aides still being paid by the state. Attorney General Ken Paxton's office told the newspaper that Roy resigned on March 9 but remained on "emergency leave" through June 10, an arrangement that could have netted Roy as much as $48,660. Roy's statement indicates that he will receive much less than that because he took the leave option partly for medical reasons that were resolved Thursday. "The terms of my resignation included from the OAG [office of the attorney general] an option for leave beyond my earned vacation and holiday time," Roy said in the statement. "The primary benefit to me would have been healthcare coverage in light of being in the five-year window after Stage 3 Hodgkins Lymphoma. My plan has been to go off payroll at OAG using only my earned vacation and holiday time unless it were absolutely necessary to stay on pending the uncertainty of medical tests and subsequent employment. Yesterday I was blessed to receive an all-clear from my Oncologist and my complete departure from the OAG is effective at the time of the expiration of only earned vacation and holiday time." Shortly after Roy's departure from Paxton's office was made public last month, he joined the pro-Cruz Trusted Leadership PAC as its executive director. Before Paxton hired him, Roy served as Cruz's chief of staff in the U.S. Senate.